If you love something, set it free. If it comes back to you, it's yours. If it doesn't, it never meant to be. 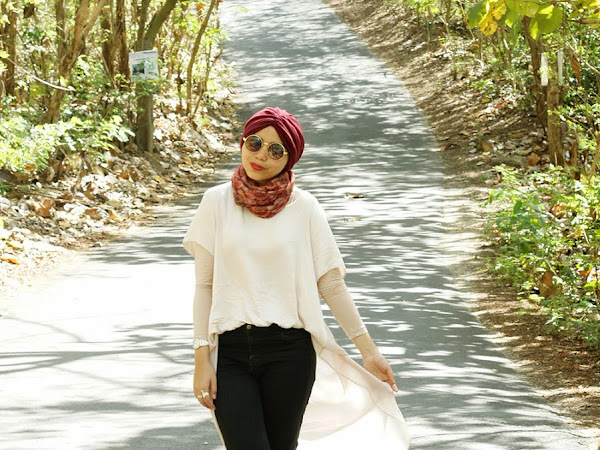 Turban : ITC Kuningan. Sunglasses : Pasar Senen. Scarf : Pasar Sunan Giri. Dress : River Island. Jeans : Pull & Bear. Sandals : New Look. Ubud's streets are definitely amazing, especially after the Galungan and Kuningan day as there were many Penjor ornaments on the streets.